Here at Westholme Junior School we pride ourselves on the high quality education we provide for all children, the outstanding relationships that exist between staff and pupils and the variety of experiences on offer; we celebrate our differences and the values of tolerance and respect underpin all we do. We take a holistic and creative approach to education allowing each individual to flourish across the curriculum and excel in the areas they are most passionate about. 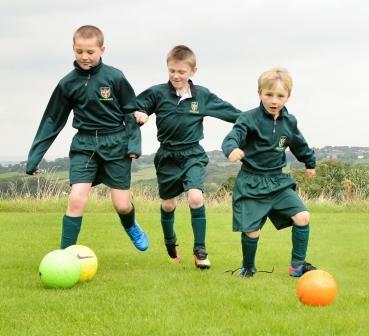 We develop sporting stars, keen scientists, stage performers, designers, critical thinkers and future leaders. We nurture learners who embrace new opportunities and face challenges with confidence. Our expectations of our pupils are high and their achievements match this. Teachers, parents and support staff work together to ensure that each child thrives and achieves their potential. We are proud to provide a dynamic, warm and caring environment where staff know and treat every boy and girl as an individual. We are a family and like all families, we challenge each other, work hard together and have plenty of fun! The best way to get a feel for Westholme is to come and meet with the staff team and the pupils. They are enthusiastically busy in the vibrant classrooms, across numerous clubs, sports, music, drama and learning; they are polite, courteous and a pleasure to be with.